Thanks to the wonderful people who choose to support Crochet Concupiscence through Patreon, I’ve reached my next milestone and am able to bring back the monthly posts in my exploration of 50 Years of Vintage Crochet History. 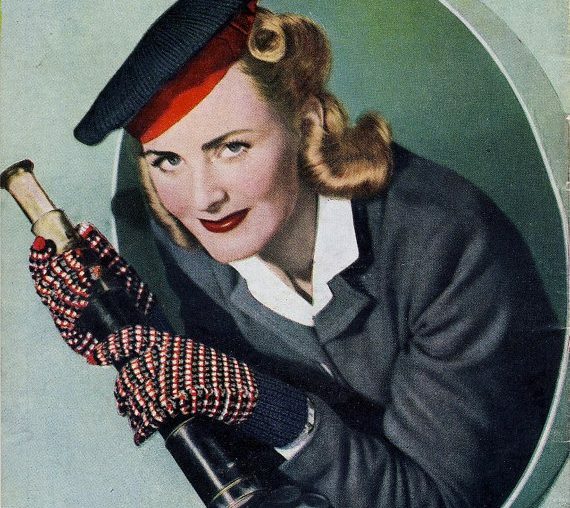 Here is our look at 1944 crochet! Kathy explained to me that she had received a pile of things from her husband’s parents’ house. Her sisters-in-law didn’t want the items but she was amazed to discover the treasure of a vintage crochet filet flag. She loved it immediately and had it framed, but she didn’t have any information about the piece. 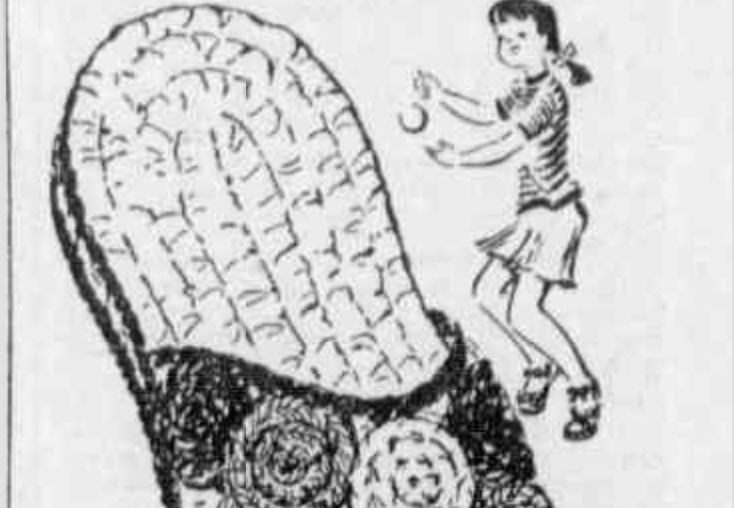 I’m continuing my steady research into vintage crochet history. We finished up 1930s crochet and started with 1940 last month. So that means today I’m checking out what happened in crochet in 1941. It’s time to begin a new decade in my research into vintage crochet history. We finished up 1930s crochet and now let’s move into the 1940’s, starting, of course, with the first year of the decade. 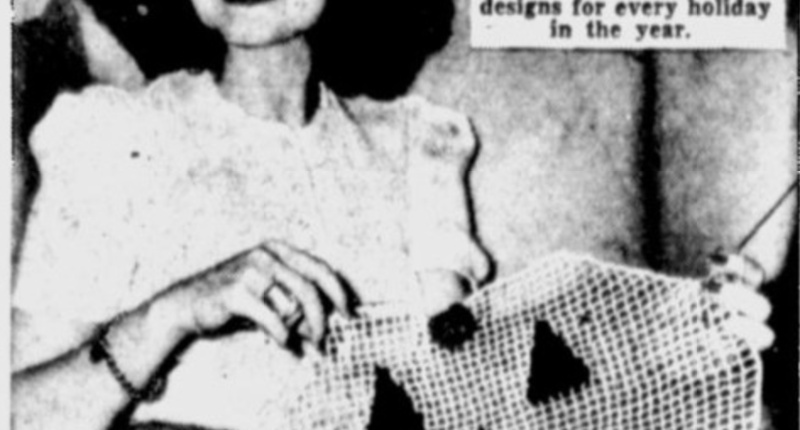 Here’s what I found so far in crochet from 1940. I’m planning to curate as much crochet history information as possible, decade by decade. 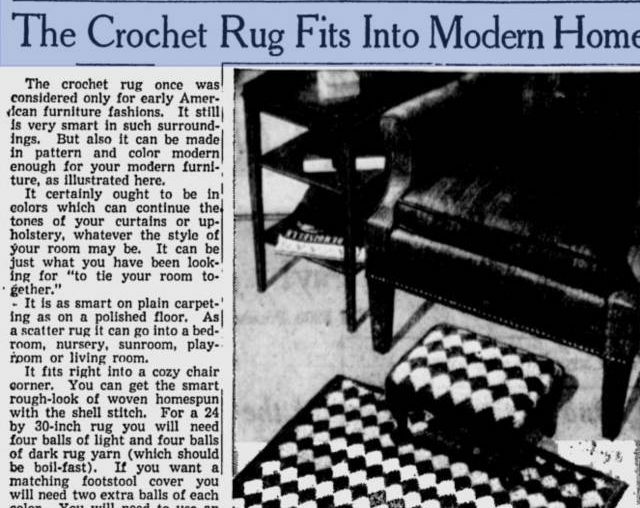 My research began with a deep investigation into 1930s crochet, which I’ve collected in year-by-year posts. I thought I’d round up that information in one post today to share everything I now know about crochet in the 1930s! Remember that I recently introduced you to the reader Flo who shared some of her beautiful crochet work with us?